In this week's flashback, discover some of our crafty tips on how to use the stunning First Edition Deco Mache papers for your DIY projects! 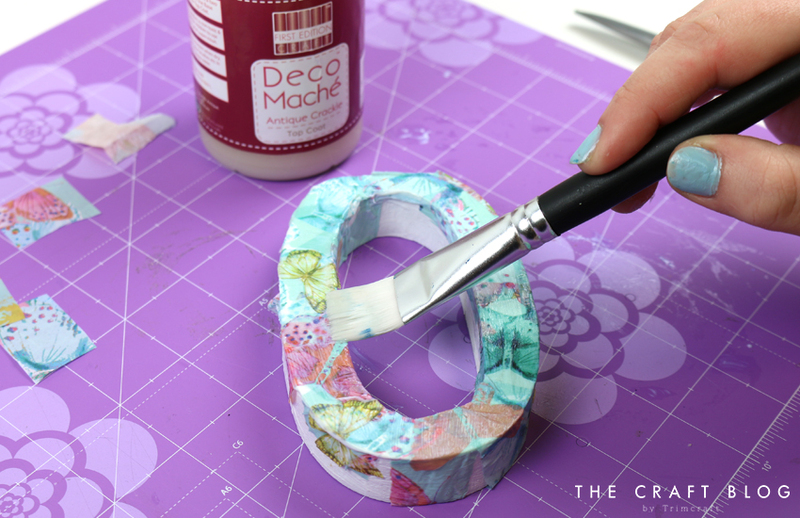 Upcycling and DIY projects are really popular in the crafting world so this is the perfect time for us to swoop in and give you guys some tips and tricks on how to use the stunning First Edition Deco Mache papers. Featuring pretty patterns and striking illustrations, the First Edition Deco Mache papers are everything you need for transforming your chosen item. Better yet, you will be able to make your possession unique and irreplaceable, what every crafter wants! To begin, we suggest to paint your item with white paint if the background is a darker shade. This will enable your Deco Mache paper design to stand out bright! First Edition also offer a set of two brushes and a selection of glues that will help you create a professional looking project, effortlessly. When you pick your paper design, ensure you have enough for your chosen make, you'll be surprised how quickly you'll run out when you're in the middle of a bigger project. Tear the Deco Mache paper in smaller squares. What's really great about these papers is that they tear both ways, a feature a lot of decoupage papers don't have. The fibres in the paper will fuse together easier on your project if you tear the squares rather than cut them. We recommend covering your item with the First Edition Adhesive and Varnish glue. Apply your Deco Mache squares with the hog hair brush from your set, this will push out any creases or bubbles you might have. If you have a paper design that has a clear illustrative pattern that you would like to transfer to your project, we suggest cutting out the design and layering it on top of a decoupage background to really make it stand out. Once dry, use the First Edition Antique Crackle base coat, in one direction on your project. Leave to dry again and use the First Edition Antique Crackle top coat with the nylon brush, in the opposite direction, to create a smooth finish.The crackle coat will add a cool, vintage look to your project and will really make it stand out from your other possessions. Once dry, you can embellish your project to add that perfect finishing flair. The First Edition Deco Mache papers can be used on wood, plastic, glass, ceramic and so much more! If you don't want to glue the papers onto a surface but really like the designs, you could cut out the patterns for your chosen make. Maxine has die cut this decorative Deco Mache paper and layered them together to create a textured, floral look. If you would like to find out more about the First Edition Deco Mache range, watch Claire's fab video here! We would love to see your DIY projects with the First Edition Deco Mache papers so don't forget to share them in the Inspiration area and to #trimcraft when uploading to social media. So beautiful and very useful for soo many projects. Just wish I had more time to create all the ideas, that comes up every time I see all these new amazing products here.